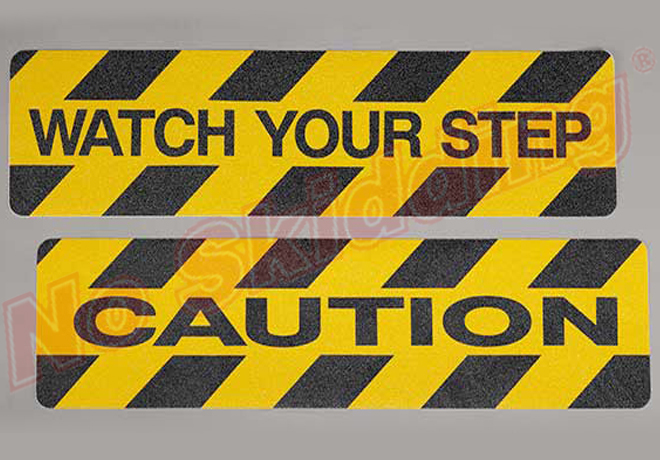 Anti-Slip High Traction Tape Hazard Marking Die Cut Cleats NS5100CAU-6"X24"
Provide a clear message to workers and also provide an anti-skid surface to your hazardous areas. Made from a durable aluminum oxide grit formulation that results in a durable and reliable result and is die cut in convenient 6"X24" pieces. 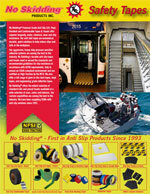 Economical and simple to apply anti slip high traction safety tape. For more information, please visit this product DATA sheet. NS5100 Colors are manufactured from a durable 60 grit aluminum oxide formulation that results in a durable and reliable anti slip surface. 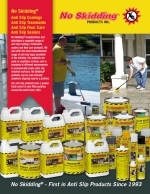 Available in: Clear, Safety Yellow, Red, Gray, Brown, Blue, Orange, Green, Yellow/Black Diagonal..
NS5100 Colors are manufactured from a durable 60 grit aluminum oxide formulation that results in a durable and reliable anti slip surface. Available in: Clear, Safety Yellow, Red, Gray, Brown, Blue, Orange, Green, Yellow/Black Diagonal. NFSI Certified.